I can’t remember when was the last time I had conventional shoelace on. I always enjoy tying them differently and (sometimes) mixing them up in different colors and D was always teasing me about being crazy. Fashion is also about being fun isn’t it? 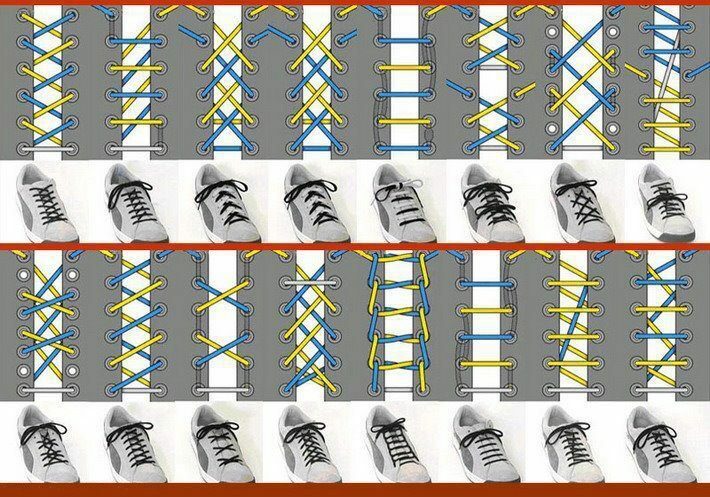 To prove D wrong, I goggled and found many interesting ways of tying your shoelace! With a little more creativity, a little more effort, you can create a whole new style! Tying your shoelace is no longer one big ribbon. Be Unconventional and have fun!